It is doubtful that underdevelopment and poverty in Africa is caused by a shortage of financial, human, material or natural resources. Several countries in other regions with little or no natural resources, and with lower population than Africa has achieved tremendous successes during the past few years. On the other hand, despite Africa’s huge natural resources, large and youthful population and various episodes of community booms, most of the continent remain poor. It is no coincidence that Africa also has had the largest number of dictators during the past fifty years, with bad governance and state corruption almost a permanent narrative of the continent’s political economy. 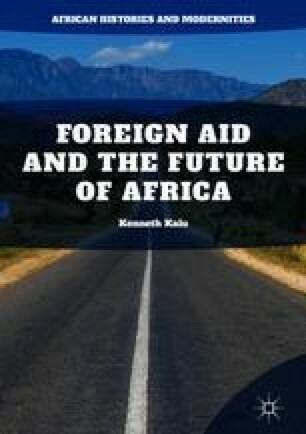 Unfortunately, it would seem that donors find it convenient to wish away the obvious predatory nature of the African state when such donors and other development partners suggest that more cash given to African countries could help to cut poverty in half. Because poverty in Africa has been caused by rapacious political leadership supported by predatory governance institutions, cash transfers can only help to assuage the pains of poverty, but cannot procure development.